Shake with ice and strain into a cocktail coupe glass. Two Wednesdays ago, I sought out the Death & Co. Cocktail Book for the night's libation. There, in the Daiquiri section was Alex Day's Sunset at Gowanus that he created in 2008. Gowanus is the area of Brooklyn settled by Dutch farmers in the 1630s, and soon the agricultural center turned industrial and became heavier into manufacturing and shipping. This led to the Gowanus Canal to become polluted with industrial waste (as well as bodies and weapons from Mafia activity). A decade ago, the EPA sought out to clean up the canal which has recently seen a return of wildlife. I, too, have named a drink after an industrial waterway region that became a superfund site -- namely, the Miller's River Milk Punch -- so who am I to cast the first stone? 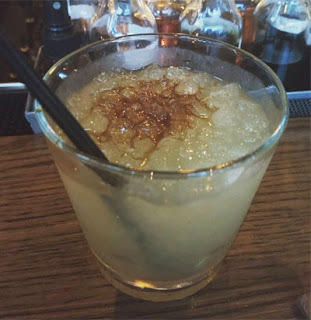 The combination of rum, lime, and maple reminded me of the Mr. Howell and Kaieteur Swizzle, and the rum, lime, and Yellow Chartreuse led me to consider the Daisy de Santiago. Moreover, the rum with a hint of apple brandy and Yellow Chartreuse was a trio that Death & Co. utilized in their Puerto Rican Racer. Once mixed, the Sunset at Gowanus proffered a bright lime aroma that was countered by dark caramel and accented with a hint of herbal notes. Next, maple's richness balanced by lime's crispness on the sip slid into caramel rum and minty herbal flavors on the swallow with an apple finish. Two Tuesdays ago, I ventured onto the Haus Alpenz website and searched their recipe database. Under the Smith & Cross Rum section, I was drawn to Kellie Thorn's Perfect Storm that she created at Atlanta's Empire State South. The mix reminded me of a cross between Hurricane (given the name and the passion fruit and lemon) and a Floridita (with the crème de cacao and vermouth); the Tortuga also came to mind especially since it appears to me as Trader Vic's expansion of the Floridita. Once prepared, the Perfect Storm greeted the nose with funky aged rum, passion fruit, and a hint of allspice on the nose. Next, lemon, passion fruit, and caramel danced on the sip, and the swallow displayed the combination of funky Jamaican rum, passion fruit, chocolate, and allspice flavors. Shake with ice, strain into a cocktail glass, and garnish with freshly grated nutmeg. 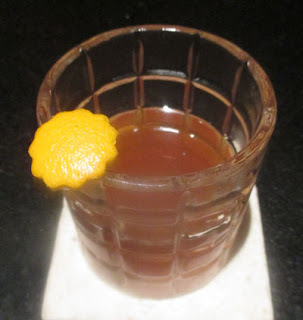 Returning to my drink book shelf two Monday nights ago, I selected the new Waldorf Astoria Bar Book by Frank Caiafa, and spotted the house original Fall in a Glass that continued on with the maple syrup trend from the Handsome Jack. The combination reminded me of the Hannibal Hamlin with rum, maple, and orange juice, and the Dolores and Balmy Night with their rum, sherry, and orange juice. The Fall in a Glass's nutmeg added woody spice on top of the nutty grape aroma. Next, the sherry's grape, richness from the maple, and smoothness from the orange juice combined on the sip, and the swallow presented rum along with the sherry's nutty grape melding into the maple flavors and with a clove finish. Two Sundays ago, I perused my drink book shelf and pulled out my copy of The Experimental Cocktail Club where I uncovered the Handsome Jack by Chris Tanner at the E.C.C. in London's Chinatown. Not only was this a fourth split base Manhattan riff in a row, it also featured accents of Green Chartreuse and maple to make for a great Fall drink. That duo of Chartreuse and maple was one that has worked previously in a trio of drinks: the Daiquiri-inspired Cleirmeil, the Old Fashioned-like Truce, and the Jasmine-esque Cat's Pajamas. The Handsome Jack proffered a lemon oil and brandy bouquet to the nose. Next, Byrrh's grape and Aperol's orange notes on the sip transitioned into rye, Cognac, maple, Green Chartreuse's herbal, and Angostura's clove flavors on the swallow. Indeed, the combination worked well with the Autumnal weather. First published on the USBG National blog in November 2017; slightly adapted version here. One way of thinking about naming convention is looking at it as an act of compassion: how do you get the right drink into the right person’s hands when they read it on the menu? A softer or more playful-sounding name should match an easier style of drink; they are more likely to get ordered. The more cacophonous or difficult-to-pronounce or comprehend names should match cocktails with more challenging ingredients. For example, at one bar I worked at, the Laguna Sunrise was the most returned drink during my two years there. People expected an easy-going libation, and not a mezcal-laden smoke bomb. Similarly, Bobby Heugel of Houston’s Anvil at a Tales of the Cocktail talk discussed making the more advanced drinks’ names more difficult to say in order to get it in the right hands of an educated drinker who would be more motivated to give it a go. It would also steer the average customers away from often the least-profitable drinks on the menu. Next, the name can inform the guests about the ingredients or the style of the bar. For the former, matching the origin of the spirit with a film star, movie, or book from that country can help. As for the style of bar, a saucy name might work in a neighborhood bar to gain a chuckle and a drink order but might fall flat in a more upscale place, whereas an overly serious name might detract from a fun drink. At one bar, I mentioned to a regular that I was trying to come up with all France-derived ingredient sparkling wine drink called the French Tickler, and he shook his head and declared that we were not that type of place. Furthermore, keeping to the restaurant’s theme, neighborhood, and local history are great tie-ins and make for great talking points. In fact, drink names are a great way to tell a story when presenting the drink or when people ask; moreover, it allows the staff to connect with the guests and shine light on their creative co-workers even when not present. When Brick & Mortar first opened up in Boston, the menu was filled with great tasting cocktails created by Misty Kalkofen with intriguing names. When I inquired as to the name’s meaning, I frequently got the explanation that one of the owners had a notebook of drink names needing recipes stemming from things he came across during his day such as a photo caption on Facebook. It turned out to be a productive bit of teamwork since Misty needed drink names more than drink ideas. I have done similar for myself by keeping a list of drink names for future use. Book or poem titles, song or album titles, semi-famous people’s names, childhood games or toys, or historic events all have seemed to work. 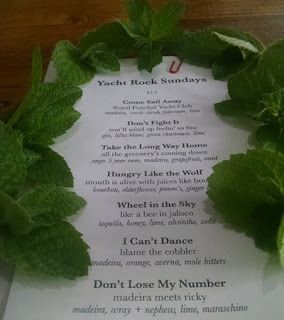 When I did Yacht Rock Sundays one summer, I had a list of 200 song titles from the playlist to choose from, and it made menu item creation go rather smoothly. Having a name list also brings up the point of whether a bartender should craft the drink first and name later or concoct the drink off of the name. Trying to do it both ways is a great exercise, but often the drink stems from an idea or request for ingredients, so the former is more likely. There are also times when a drink does not need a new name. For example, when that recipe is already a drink, I find it in poor form to rename it perhaps save for one-off theme menus. I recently saw a local bar’s menu online that had renamed what appeared to be an Old Cuban, and I immediately thought less of the program. Unless the drink is rather well known like a Red Hook, insinuating that the drink is a house creation (even by omission) can get bad publicity such as what happened with one local bar who mis-attributed the Chartreuse Swizzle as a house invention. 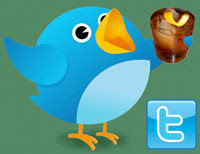 Mentioning the source bar or bartender in the drink description helps to avoid these issues. On a menu, a house take on a classic does not necessarily need to have a new name but merely an explanation of the ingredients of how it varies and elevates the classic. For example, a previous bar’s Dirty Martini utilized a house-made brine from a lactic ferment to tie in with the kitchen program; however, we had to be clear on whether the guest wanted the Dirty on the menu or the standard olive brine one. Sometimes generating a slight variation on the drink name as a nod to the original can help to clear up these confusions. Finally, checking on the web to see if the drink name has been taken is indeed helpful; overlap is not a killer per se but it should be taken into consideration especially if it is a semi-famous drink (or from a famous bartender) or the two recipes are pretty similar. In competitions, the name can be rather important to win the judges’ nod. Linking the name to a bit of history or geography about the ingredient can be helpful. For example, in one Jägermeister competition on ShakeStir, I stood out above the other competitors who created Negroni riffs by avoiding the common Jägeroni or Negronimeister ones that were submitted by paying tribute to the geography of the spirit and dubbing it the Saxoni. For in-person competitions instead of strictly web-based ones, linking the name to a story helps for competitors have a bit of time during the drink build (as well as before and after) to speak, and tying in the name to the sponsor’s history or to a personal anecdote can make the drink more notable even before the judges taste it. Make sure these drink names are always positive and not showcasing a dark part of history or the world. Marketability of the drink and the contestant is on the judges’ minds. Drink names are often one of the first ways to sell the idea to the guest or to sell it to the right guest who will enjoy it. Strangely, nonstandard conventions can work. One local restaurant called Hungry Mother had all of their drinks numbered which at first I found to be odd. However, I and other drinkers grew a fondness to certain drinks such as No. 42, and the system seemed to work. There is no one right way to name a drink, but there are several wrong ways. Just as you would let your co-workers taste your drink during the recipe development stage, bouncing drink names off them and your guests can help guide you to the best choice. Two Saturdays ago, I browsing the ShakeStir database when I uncovered another split base Manhattan riff to go along with the Rum River Mystic and Miriam's Cup from the two previous nights. That recipe was the Thunder Road by Natalie Jacob circa 2013-14 at Dutch Kills that she named after the Bruce Springsteen song and a Robert Mitchum film. I had previously made a recipe of Natalie from her Dutch Kills days called the Jake Barnes, so I was interested in trying this one out. The Thunder Road began with a grape, aged rum, and a fruit note from the apple brandy or perhaps the Jamaican rum on the nose. Next, grape and hints of caramel on the sip slid into rum and apple flavors on the swallow with a clove and allspice finish. Overall, the Thunder Road was softer than a Manhattan but less fruity than a Marconi Wireless. Two Fridays ago, I reached for Drinking Like Ladies for the evening's liquid inspiration. There, I spotted Phoebe Esmon's Miriam's Cup that she created at North Carolina's Nightbell and Curate as a tribute to Ruth Gruber. Gruber was a journalist and humanitarian best known for her work describing the dangers of Nazism. Her most famous moment was taking part in a secret mission in 1944 to successfully bring a thousand Jewish refugees and wounded American soldiers from Italy to the United States. 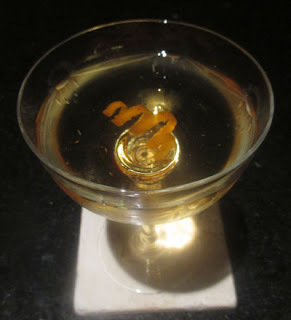 Esmon's flavor concept was based on the comfort food rugelach, and it reminded me of the often neglected Corpse Reviver #1 with sherry and bitters instead of the classic's sweet vermouth. The Miriam's Cup presented bright orange oil notes over apple and raisin aromas. Next, a rich grape sip showed hints of apple, and the swallow offered Cognac and raisin flavors with a clove and allspice finish. Stir with ice, strain into a double old fashioned glass with a large ice cube, and garnish with orange oil from a twist (I included it). Two Thursday ago, I turned to a Manhattan variation of sorts that I had spotted a while ago called the Rum River Mystic, but I could not make it back then for I lacked Byrrh Quinquina in my collection. 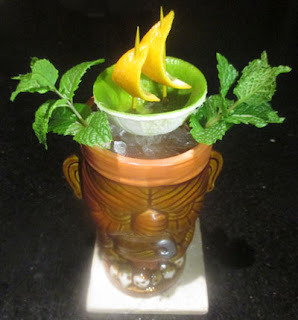 The recipe was crafted by Paul McGee at Chicago's Lost Lake Tiki around 2015, and I was able to find a few variations of the drink. 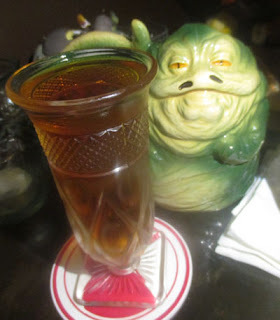 The one I went with was from The Takeout in 2016 that called for rum and rye whereas others called for a split of Haitian and Trinidadian rums or the rum-rye mix with additional Tiki Bitters as a garnish. I was drawn in for it reminded me of a 1919 Cocktail with the biggest difference being the quinquina here instead of the 1919's Punt e Mes. When I commented on Instagram that, "I find it interesting that the Mystic River here in (Somerville & Medford) Massachusetts was a rum hub, but alas, this probably isn't a tribute to that," the Lost Lake Tiki bar replied that, "It's a tribute to a dear friend's beloved greyhound -- Rum River Mystic was his racing name!" Once prepared, the Rum River Mystic gave forth a bright orange oil aroma that led into a grape and barrel-aged caramel sip. Next, rye, rum, and smooth herbal notes on the swallow finished with the bitters' clove and allspice. Overall, it was softer, more herbal, and less bitter than a 1919, but just as delightful to quaff. 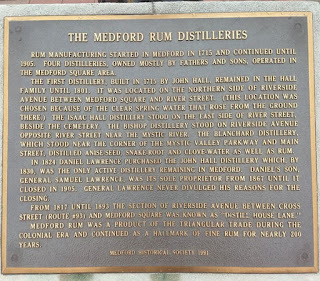 The following day, I was motivated to venture down to the old "Distill House Lane" where rum was produced along the Mystic River in Medford from 1715 until 1905 when the industry finally succumbed to temperance forces. All that remains is the plaque below. Around the corner is distiller Isaac Hall's old house (now a funeral home) where Paul Rever used the excuse of "avoiding the Redcoats" to make a detour for a dram of rum on his way to Lexington. That decision is tied to my Winter Hill, Somerville, neighborhood for up the street from my house is a tiny park with a stone that commemorates Revere's turn off of Broadway for the trek across town to take Main Street into Medford. Previously, I had done some research on Somerville's Chase Distillery, but apparently it made less of a historical impact; that distillery was located near the football field and ice skating rink between Union and Porter Squares in Somerville with no trace of its copper stills or product remaining. Two Wednesdays ago, I stopped into Backbar on my way home from dinner at Lonestar Taco Bar in Cambridge. For a drink, I requested the Rye-O de Janeiro from bartender Joseph Habib; despite my usual avoidance of puns as drink names, the combination seemed like a delightful Green Point riff. I later learned that it was Matt Conner's creation from mid-September that he crafted two weeks or so before departing Backbar. The original was equal parts (with the fourth equal part being a split of the two herbal liqueurs), and when the cocktail hit the menu, the two base spirits were bumped up a quarter ounce each perhaps for a bit more dryness on the balance. 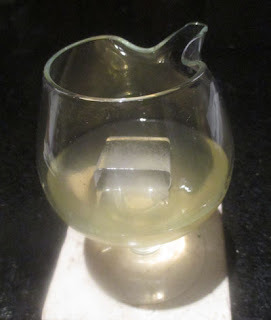 The Rye-O de Janeiro presented a bright lemon oil and funky cachaça nose that preceded a grape and honey-tinged sip. Next, rye and funky cachaça were complemented on the swallow by gently bitter herbal notes along with menthol from the Braulio on the finish. Two Tuesdays ago, I received in the mail a copy of the Copper & Kings 2018 Mix Tape cocktail competition recipe book, so I flipped through and found one that called out to me both musically and drink-wise. 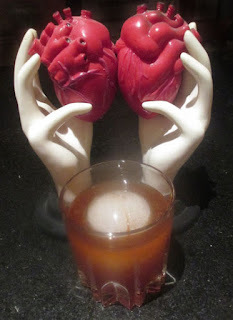 That one was inspired by The Cure's Boys Don't Cry, and it was crafted by Lauren Paylor of Eat in Rich in Washington, DC. So besides the tribute to the New Wave song first released as a single in 1979 from one of my favorite bands, the recipe itself reminded me of a brandy-based Brooklyn riff with the Brooklyn being one of my favorite Manhattan variations. The Boys Don't Cry gave forth a nutty cherry accented by anise bouquet to the nose. Next, the sherry's grape was augmented by a hint of cherry on the sip, and the swallow proffered brandy, nutty notes from the sherry combining with the Maraschino, and caramel bitter orange flavors with a hint of absinthe and quinine on the finish. Shake with ice, strain into a cocktail coupe, and garnish with a mint leaf. 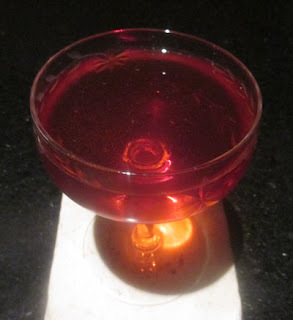 Two Mondays ago, I decided to make the Clara Bow by Lynnette Marrero at New York City's Rye House circa 2009. 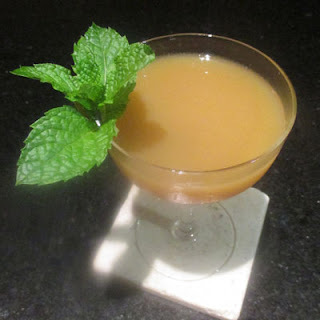 I had spotted the drink mentioned elsewhere and tracked down a reliable recipe on SeriousEats; the combination reminded me of a mix between a Ward 8 (especially some older recipes that included crème de menthe or mint leaves) and Brother Cleve's Ninth Ward. The drink was named after Clara Gordon Bow who was an American actress that began in the silent film era and continued on into the "talkies" movies. Clara epitomized the Roaring Twenties and Flapper culture to the point that she was dubbed "The It Girl." 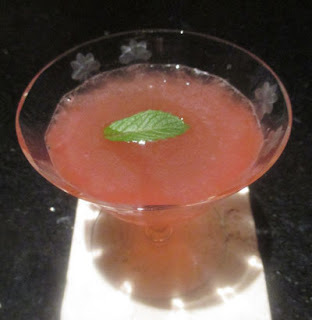 Like other Flapper-tribute drinks like the Flapper Jane, this one is elegant and pink in hue. 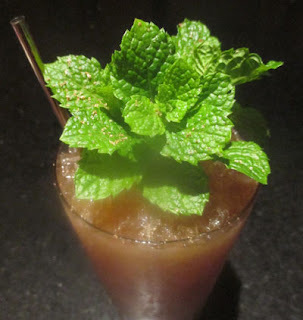 The Clara Bow began with a mint, floral, and Bourbon aroma. Next, lemon and berry notes mingled on the sip, and the swallow offered Bourbon, pomegranate, elderflower, and mint flavors to make for a delightful Whiskey Sour of sorts. Muddle the mint, strawberry, and cucumber in a shaker tin. Add the rest of the ingredients, shake with ice, and double strain into a Collins glass with ice. 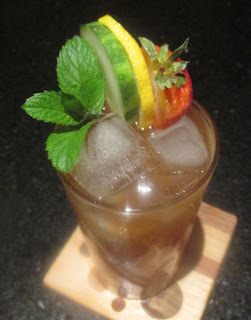 Top with 2 oz ginger beer (Reed's) and garnish with a cucumber slice, lemon wheel, mint sprig, and half a strawberry. Two Sundays ago after having a large dinner at Vee Vee, I sought out a ginger beer drink to settle the stomach. My search led me to Carey Jones' Brooklyn Bartender where there was a ginger beer variation in the Pimm's Cup section (where I found the Wire + String) called the Amped-Up Pimm's Cup; despite Jones attributing the rest of the drinks to individual bars and bartenders across Brooklyn, this one lacked any information so perhaps it was the author's contribution to the borough's tapestry. I was also excited that the recipe would provide a fourth use of my strawberry purchase. The Amped-Up Pimm's Cup donated strawberry, cucumber, and mint notes to the nose. Next, a carbonated berry sip slid into gin, ginger, cucumber, and mint flavors on the swallow. Two Saturdays ago, I was in the mood for a nightcap, so I sought out Sother Teague's I'm Just Here for the Drinks book. There, I spotted the Smoke & Mirrors which seemed like an interesting Martini riff or perhaps a Martini meets a Rob Roy cocktail; since the name sounded familiar, I had to check but it was not either of the two with that same name for they were both mezcal drinks. Once mixed, Sother's Smoke & Mirrors met the nose with orange oil over peat smoke aromas. Next, a semi-dry red grape sip gave way to pine, smokiness, and nutty flavors on the swallow. Indeed, the cocktail had a delightful savory aspect to it from perhaps the Scotch, vermouth, and sherry that Andrea commented that it "tastes [a little] like olive juice." Muddle the strawberry in a shaker tin. Add the rest of the ingredients, shake with ice, strain into a double old fashioned glass (Tiki sea shell mug), and fill with ice (crushed ice). Garnish with an orange wheel and strawberry (orange peel, strawberry, mint sprig). 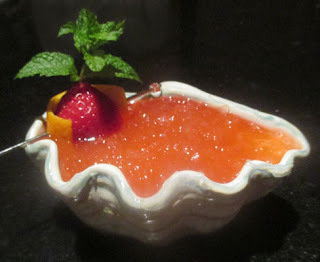 In looking for a third recipe that called for strawberry to round out the cocktail hat trick, I came across a drink in Food & Wine: Cocktails 2011 that took things in a Tiki direction. That one was the Louanalao by Richard Boccato then of New York City's Weather Up Tribecca, and perhaps this one was created during his time at Painkiller (a/k/a PKNY) before that. 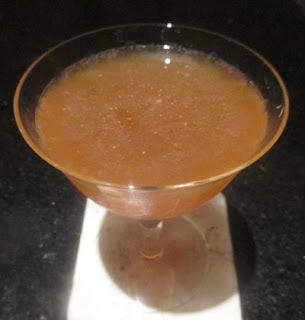 I was drawn to the recipe (besides the strawberry paired with Campari part) for it combined allspice dram and Campari which worked rather well in the Chester Rapkin, King Slayer, and other drinks. Once prepared, the strawberry from the drink and the garnish filled the nose, and the sip led into the strawberry balanced by lime notes. Next, the swallow shared funky rum, berry, bitter orange, and allspice flavors. Muddle the strawberry, add the rest of the ingredients, shake with ice, and double strain into a Collins glass (copper mug) with fresh ice. Top with ginger beer (2 oz Reed's) and garnish with a lemon wheel. Since I had bought strawberries to make the Andalusian Fog Cutter, I decided to make a recipe by Erick Castro called the Kentucky Buck that he created at San Francisco's Rickhouse in 2009. While some of the recipes I found called for ginger syrup and soda water, I utilized the one from Imbibe Magazine which specified ginger beer. 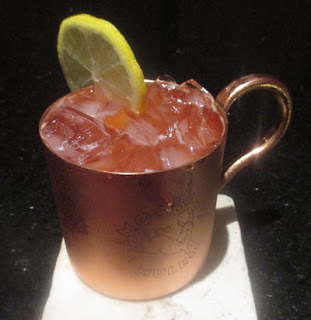 Once prepared, the Kentucky Buck welcomed the senses with lemon, strawberry, and ginger aromas. Next, a carbonated lemon and berry sip slid into Bourbon, strawberry, and ginger notes on the swallow. While most people who have asked me for a Kentucky Buck at work wanted something closer to a Moscow Mule (I usually push them towards lemon over lime since it pairs more elegantly with American whiskey), the strawberry and bitters definitely provide a great summery feel and depth of flavor to the mix. Whip shake (I added a fine strain step to remove the muddled strawberry), pour into a Tiki mug, and fill with crushed ice. Garnish with a mint sprig and a lime shell/orange peel sailboat. 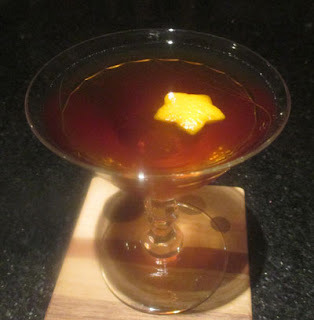 Two Wednesdays ago, I continued on with my recipe findings from the Lustau competitions, and I selected another recipe from Jason Saura of Seattle's Navy Strength after enjoying his 2018 entry called the Cutlass. His 2017 drink was a Spanish riff on the Fog Cutter that he dubbed the Andalusian Fog Cutter. Once prepared, the Tiki libation proffered a strawberry and mint bouquet to the nose. Next, lime and orange notes complemented the strawberry on the sip, and the swallow donated gin and nutty sherry and orgeat flavors with a strawberry finish. Two Tuesdays ago, I uncovered a ShakeStir competition entry that I had submitted in October 2014 but never had time to make called the Christopher Moody. The contest was rather seasonal for my description was, "Who wouldn't want to be a pirate for Halloween? And drink rum like a pirate? This dark rum and pear-tinged riff on the Scofflaw pays dark tribute to one of the scallywags of the High Seas." My original spec called for Zacapa 23 Rum and St. George Spiced Pear, but here I utilized Plantation Dark and Rothman & Winter Pear Liqueur perhaps yielding a bit less depth of flavor. The Christopher Moody greeted the senses with lemon oil brightening the dark rum nose. Next, the lemon mingled with the rum's caramel on the sip, and the swallow offered rum, pear, and clove spice notes to round out this Autumnal Sour. 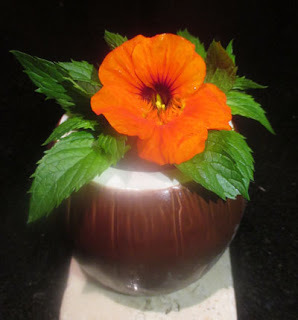 Whip shake, pour into a Tiki mug, fill with crushed ice, and garnish with pineapple leaves, pineapple crescent, lime wheel, cherry, and toy gold coins (mint sprigs and nasturtium flower). Two Mondays ago, I was desiring a tropical drink to escape the cold drizzle that was rolling over our fair town. Therefore, I decided upon the Must Be Nice created by Kevin Beary at Chicago's Three Dots and a Dash; I had spotted the recipe in the Lustau 2017 competition archives, and it seemed worthy of braving the rain to gather garnishes. Once prepared, my choice of garnish gave forth a mint and peppery floral nose over the drink's cinnamon and grape aromas. Next, grape, lime, and pineapple combined for a fruity sip, and the swallow presented rum, smoky mezcal, and nutty grape with a pineapple and cinnamon finish. Overall, I was impressed at how well the Amontillado, mezcal, and cinnamon trio played out to provide complementary flavors and offer the drink a solid backbone. 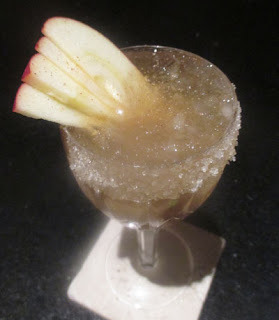 Shake with ice, strain into a wine glass half rimmed with sugar, fill with pebbled (crushed) ice, and garnish with 3-4 dried (fresh) apple slices and freshly grated nutmeg. Two Sundays ago, I went shopping for an apple to properly garnish a cocktail that I had spotted in Punch Drinks called the Second Line Season. The recipe was created by Nick Detrich and Chris Hannah as they prepare to open the Jewel of the South in New Orleans. The original Jewel of the South was the bar at the New Orleans City Exchange on Gravier Street in the American Quarter (just west of the French Quarter) where Joseph Santini invented the Brandy Crusta circa 1852. The new Jewel of the South will be on St. Louis Street near N. Rampart Street in the French Quarter with an eye on preserving bits of history such as this tribute to the Crusta akin to how Detrich and associates Bellocq paid respect to the Cobbler at Bellocq. The Second Line Season offered up apples accented by woody spice on the nose. Next, the apple continued on into the crisp sip along with lemon notes, and the swallow followed up with more apple, nutty Maraschino, orange, and spice on the swallow. Shake once without ice and once with ice, strain into a cocktail coupe, and garnish with chocolate bitters (Bittermens Molé). After getting back from a bar shift two Saturdays ago, I wanted to treat myself to a cocktail, so I reached for Sother Teague's I'm Just Here for the the Drinks book. There, I was lured in by the Pisco Sour riff, the Parisian Sour, that subbed in overproof Cognac and blanc vermouth for the pisco. Since I lacked strong Cognac, I opted for a sturdy 80 proof one and balanced that by toning down the sugar content by using simple syrup instead of cane syrup (cane syrup is closer to 2:1 simple). 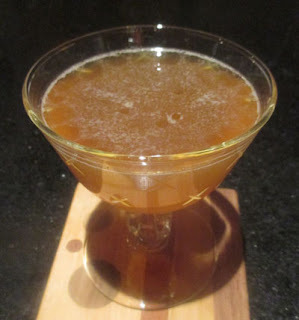 In the glass, the Parisian Sour presented a chocolate and Cognac bouquet in an earthy way. 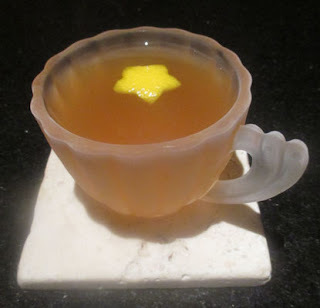 Next, a creamy lemon sip slid into a Cognac and floral-herbal swallow. Build in a Collins glass, fill with crushed ice, swizzle to mix and chill, and garnish with mint and freshly grated nutmeg. Two Fridays ago, I was reading Reddit's cocktails forum and spotted a curious drink called the Sfumato Swizzle. 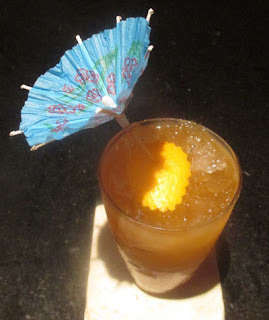 The recipe was created by Alex P. (a/k/a xxfactory), and it seemed based off of Marco Dionysos' Chartreuse Swizzle. Besides the swap of herbal liqueurs, this recipe inserted Jamaican rum as we did nightly with the Mixoloseum house's Chartreuse Swizzle riff during Tales 2010, and it added crème de banana to perhaps balance the bitterness of the amaro. Overall, I was definitely drawn to the absurdity of the drink, especially since I had been pondering how long it would take me to finish my new purchase of Sfumato that I used it a quarter or half ounce at a time. The Sfumato Swizzle greeted the senses with mint, woody spice, and a darker aroma from the Sfumato. Next, that darkness continued on into the sip along with the lime and pineapple, and the swallow proffered funky rum along with bitter flavors tempered by tropical banana ones. When I got back from my trip to Kentucky two Thursdays ago, I was in the mood for a nightcap. Therefore, I selected from my drinks-to-make list a New York-inspired riff on the La Louisiane called the New Yorleanian. The recipe was crafted by Abigail Gullo of the Crescent City's Compere Lapin and was published in a Maxim Magazine article on riffs on New Orleans' classic cocktails. Her concept was inspired by growing up by the apple orchards in Hudson Valley, NY, and the combination reminded me a bit of the Town Crier, Green Street's Picon-less variation on the Creole, and Drink's 1919. The New Yorleanian greeted the nose with anise, herbal, and apple aromas. Next, apple and grape played on the sip, and the swallow donated rye, apple, and lightly bitter herbal flavors with an anise finish. First published on the USBG National blog in July 2018. For a recent bartender event application, I was asked, “Tell us about one non-industry related book, article, or experience that shaped your world view.” As an avid reader, I wanted to take a literary route, but I slightly panicked since over the last decade or so, I have been reading little besides industry related books to satiate my curiosity and need for furthering my education. Therefore, I thought about the decade before that when I read a lot of fiction instead of my regular dose of nonfiction. I had a few favorite genres that I gravitated towards including Japanese post-war, Beat authors, American gothic, and punk poets. But the one that I honed in on was my affection to French surrealists. I was quite into surrealism back then ranging from reading authors like Bataille and Desnos, watching films such as by Buñuel and Man Ray, and viewing art such as by Remedios Varo and Dalí. My future-wife and I even threw a surrealist New Years Eve party in 2003 replete with parlor games like the Exquisite Corpse, bizarre decorations, and champagne flutes for the toast each with the name of a different period artist or writer emblazoned on it. It was actually that party that began our household’s accumulation of booze that led me down the road of becoming a professional bartender, and we still have a bottle from that event in our collection, namely Ketel One Citroen, that I bought because it was gift packed with a Cobbler shaker (which has stayed true to this day). Moreover, my deep interest in surrealism bled into some of my later drink names that were dubbed after artwork or movies from Dalí, Soupault, and Buñuel. Instead of focusing in on the bizarre aspects often associated with surrealism, I went with the books on how surrealists saw their world, friends, and city. For this, I went with one of my favorites – Andre Breton’s surrealistic love story Nadja; it is one of the two books that I have gifted to more friends than I can count (the other is a counterculture work by Richard Fariña). The book Nadja also contains 44 plates of photos, images, and artwork as physical connections to his story. Likewise, the faces, the drinks, and bars that I have captured in my mind (and in some of my writings and photos) have strong parallels to the emotional power that people and places can have on us. As a bartender, getting the requested food or drink item is the basic labor that is expected of us to make the night acceptable. To elevate the experience into something more memorable and our establishment more haunt-worthy, we have to begin to think past the basics and channel our inner warmth, absurdity, and theatrics. Many of my favorite moments sitting at bars had little to do with what was in my cup but dealt with goofy, compassionate, or extra-social bartenders and the energized guests that they helped develop and foster. Some of these bartenders have this magic in themselves; perhaps not every waking moment but it seems to be part of their on-switch after clocking in for the shift. Others develop a beautiful synergy and repartee with their coworkers. I have definitely noted that my bar stays full and the tips are higher when I am sharing the stick with a coworker where we bring the best out of the other. Positive energy through joking, banter, and getting the guests involved becomes contagious and promotes patrons’ desire to linger and bask in the mood. Meanwhile, shifts with some coworkers can more banal with the energy being more somber and functional, and there are pairings that have promoted variations along that spectrum. Sometimes the secret to giving the crowd a great energy is to devote energy to making your coworker laugh and feel loved. Things will flow more smoothly once that bond is set for the shift since bartenders and servers seem to do a better job when they are truly enjoying themselves. Similarly in Nadja, Breton pronounced, “Beauty will be convulsive or not at all.” Here, he meant that the wonderful things in life have a strong relationship with passion. I will not know for a bit whether my answer (which was much shorter than this) satisfied the event’s essay readers, but I enjoyed returning to my literary past and trying to connect it to my present thinking. Not all of our bartending education can be satisfied by reading the greats like Embury, DeVoto, and Wondrich; true, without those tomes, we would be lost and out of touch with history, but there is much to be gleaned from opening up the mind to other genres and finding parallels in life. Shake once without ice and once with ice, strain into a glass (single old fashioned), and garnish with an orange twist. Two Sundays ago, I was perusing the ShakeStir archives for an interesting drink that evening. 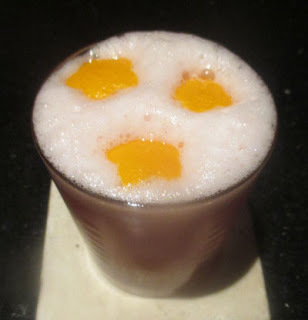 There, I spotted an agave Negroni egg white Sour called This One Goes Out that was perhaps a R.E.M. reference. Given the smokiness of the mezcal and how it parallels the fire references in the song The One I Love and the album Document as a whole (my cassette's cover had "File under Fire" on it), I was further intrigued. The recipe was crafted by Taina Spicer at The Dillinger Room in New Brunswick, NJ, as her Negroni Week 2017 offering. The This One Goes Out donated an orange oil bouquet over agave and hints of smoke. Next, a creamy lemon and orange sip slid into smoky agave, gentian, and bitter orange on the swallow. 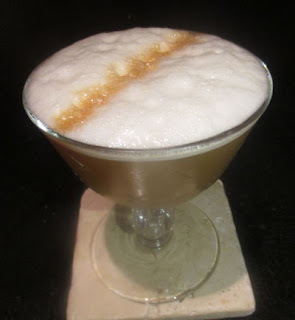 Overall, the gentian liqueur complemented the tequila and mezcal rather well as it did in the Terrible Love, the citrus and egg white smoothed over the mix's rough edges, and the combination was indeed more than a simple prop to occupy my time. Stir with ice, strain into a Snifter glass with an ice cube, and garnish with oil from a lemon twist. 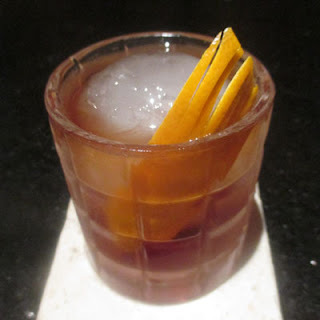 For a nightcap two Saturdays ago, I reached for Sother Teague's I'm Just Here for the Drinks and selected a smoky number called the Guillotine. The recipe was crafted by Ms. Franky Marshall at Le Boudoir in Brooklyn which has a Marie Anotinette theme; The Gothamist mentioned the cocktail, "There's even a reference to Anotinette's famous execution by beheading in 1793 with the Guillotine, a smokey combination of mezcal and scotch with banana and honey." Once prepared, the Guillotine proffered lemon oil and smoke to the nose. Next, Scotch's barley malt danced with honey on the sip, and the smoky agave paired with Scotch on swallow which led into a banana finish that worked well with the fruity-vegetal notes of the mezcal. (*) A strong steep of tea mixed in equal parts with sugar. Here, I added half the amount of boiling water as normal, did a 5 minute steep, and only used 1/2 oz of the tea to 1/2 oz sugar. 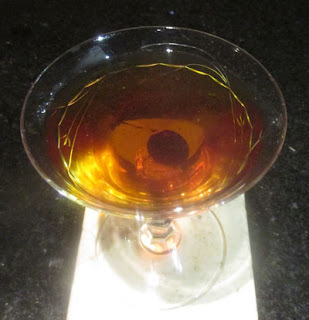 Two Fridays ago, I was in the mood for a straight spirits drink, and I recalled a Manhattan variation in Gary Regan's revised and updated The Joy of Mixology which seemed appealing. That recipe was the Leaving Manhattan by Joann Spiegel, and the drink netted her first place in the New York City edition of the Woodford Reserve Manhattan Experience competition in 2012. The Bourbon, vermouth, and minor modifiers reminded me of my 2014 entry to the Boston part of the same contest: Shadows and Tall Trees; while that was not the winner (Woodford dominated the balance that worked well with another whiskey), it was meaningful to me as my first live cocktail competition as a bartender. 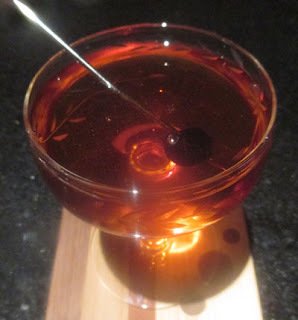 In the glass, the Leaving Manhattan greeted the senses with orange, whiskey, smoke, and grape aromas. Next, grape and malt mingled on the sip akin to the average Manhattan, but the swallow took a turn after the Bourbon aspect with a pleasing medley of bitter, chocolate, smoke, and tea tannin notes. Stir with ice, and strain into a double old fashioned glass rinsed with Laphroaig 10 Year Scotch and containing a large ice cube. 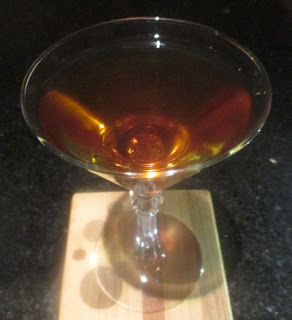 Two Thursdays ago, I got home late from working an event in the Back Bay, and I was in the mood for a nightcap. Therefore, I selected a recipe from ShakeStir that seemed to fit my need called the Knife to a Gun Fight. The drink was crafted by Patrick Gaggiano in 2015 while running the show at the Viale bar in Cambridge before he crossed the street to tend at Brick and Mortar a few months later. Once prepared, the Scotch's peat met the Sfumato's smoky Chinese rhubarb aroma on the nose. Next, orange and malt on the sip led into Bourbon and bitter orange on the swallow with a dark, smoky finish. Shake with ice, strain into a cocktail coupe, and garnish with a mint sprig. Two Wednesdays ago, Liquor.com alerted me of a drink posted on their feed from Reece Sims of the WhiskeyMuse called the Fort York. The recipe was her cross between a Toronto and a Southside that she crafted at the Diamond in Vancouver earlier this year, and she paid tribute to a neighborhood on the south side of Toronto called Fort York. The name and the inclusion of the Fernet Branca reminded me of the Old York Flip crafted by then Toronto bartender Taylor Corrigan. The Fort York met the nose with mint, menthol, and lime aromas. Next, a creamy caramel and lime sip transitioned into rye notes along with bitter menthol smoothed out by earthy orgeat on the swallow. Stir with ice, strain into a rocks glass, and garnish with a flamed orange twist. 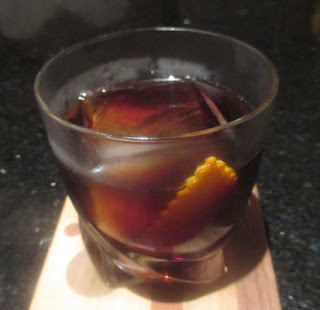 Two Tuesdays ago, I decided to pick up a bottle of Amaro Sfumato, and I sought out a recipe that specified it or a compatible rabarbaro, namely Zucca. The one that called out to me was Sother Teague's Chain Smoker from his I'm Just Here for the Drinks book that utilized a series of smoky ingredients. Once prepared, the Chain Smoker greeted the senses with an orange and rubbery smoke bouquet. Next, dark notes from the Sfumato paired with a dry white grape from the vermouth on the sip, and the swallow was much more complex with smoky, vegetal agave melding into bitter herbal elements on the swallow. Overall, the drink was not incredibly bitter given the small amount of amaro, but it was rather full of flavor especially given the otherwise stark mezcal Martini format. Muddle the cucumber, add the rest of the ingredients, and shake with ice. 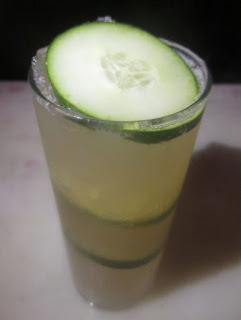 Strain into a Collins glass filled with ice interspersed with 3 slices of cucumbers. After Kirkland Tap & Trotter, I headed down to the Southend to visit Sahil Mehta at Estragon. There, Sahil offered me his recipe book to flip through, and one of his drinks of the day from July with cucumber and gin seemed like the perfect offering. For a name, Sahil and I focused on the garden aspect of the drink; that and the English gin brought up the idea of the Surrealist garden, Las Pozas, that British writer Edward James built in the jungles of Mexico. The Las Pozas greeted the nose with a cucumber bouquet that led into a lime and vegetal sip. Next, juniper, cucumber, mint, a touch of nuttiness, and clove made for a flavorful swallow. Build in a glass, fill with crushed ice, swizzle to mix and chill, and garnish a dash of Jerry Thomas Decanter Bitters. Two Mondays ago, friends from out of town invited me for a cocktail at Kirkland Tap & Trotter before they headed out to dinner elsewhere. For a drink, I asked bartender Kevin Jarvis for the Blackspot that he described as his coworker Rob's base spirit-less Swizzle. Once prepared, I figured that the name came from the circle of bitters on the surface that contributed to the nose of clove, herbal, and anise aromas. Next, a rich sip preceded the herbal and anise swallow with a licorice and coconut finish.